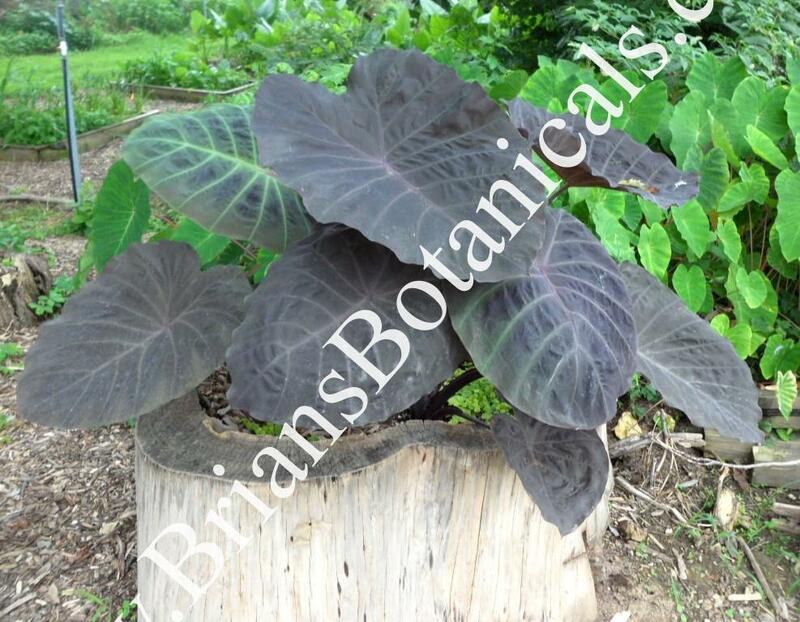 Colocasia Nobal Gigante?PP25219 (Purple Giant) The first of its kind in the Gigantes TM series, this ginormous new hybrid has Colocasia gigantea in its bloodlines. Noble has purple stems and purple foliage that can be blue gray in full sun. Plants mature around 6 to 7 feet tall. A very robust wide habit. Best grown in full to part sun. Allow drying out between watering.